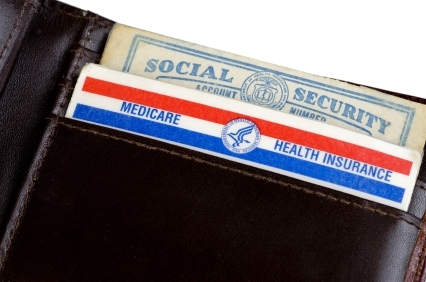 If you are turning 65 or are disabled and receiving Social Security benefits you may be wondering whether or not you are automatically enrolled in Medicare or if you need to take some action to sign up. The short answer is that your individual circumstances will determine whether or not you need to sign up for Medicare or whether enrollment is automatic. Knowing ahead of time whether or not you need to take action will alleviate some apprehension you may have about being new to Medicare. The following explains under which circumstances enrollment is automatic and when the ball is in your court. Your card will arrive 3 months prior to your 65th birthday or your 25th month of disability. Along with your new Medicare card is an Initial Enrollment Questionnaire. It’s important to fill this card out and drop it back in the mail. The questions include such things as any other health insurance you may have, including coverage from any employer group plan that you are covered under. Completing this form ensures that your bills will be paid correctly and on time. If you need to sign up when first becoming eligible you must sign up during your Initial Enrollment Period. Your enrollment period lasts 7 months and begins three months prior to the month you turn 65, the month you turn 65 and 3 months after the month you turn 65. If you do not sign up during this enrollment period you may be subject to late enrollment penalties. You can sign up online, visit a Social Security office. You can call Social Security at (800) 772-1213 for more information. Part B is the outpatient coverage component of Medicare and is important to have but there are times when it’s not necessary. If you are still employed and have employer coverage or are covered by a family member’s group coverage you may not want to enroll in and start paying the premiums. If you have been automatically enrolled and don’t want Part B you will need to follow the instructions that come with the card and send it back. You will receive another card which shows that you have Part A coverage only. With the information in this article you should be able to anticipate whether or not you will be enrolled automatically or whether you should take action during your Initial Enrollment Period to obtain Medicare coverage.